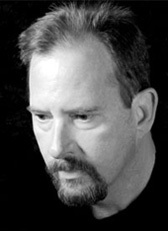 Michael Powers Graduated from Art Center College of Design in 1982. He continued his education in Los Angeles as a free-lance photo assistant. Then moved to San Francisco to work at Moulan Studios as Manager and first photographer. In 1988 he opened the studio in Sacramento specializing in Food Photography. Currently still working in Sacramento for Advertising Agencies, Designers, Editorial, and Client Direct. "I am an image maker who chooses the photographic medium to convey a concept. Whether I’m doing work for a client or for myself, the target audience is always in focus. In art, there is a thin line between mediocrity and great success because of the subjective nature of the projects. I listen then put my heart and sole into illustrating every concept."